Eyeing for a classy and capable car? 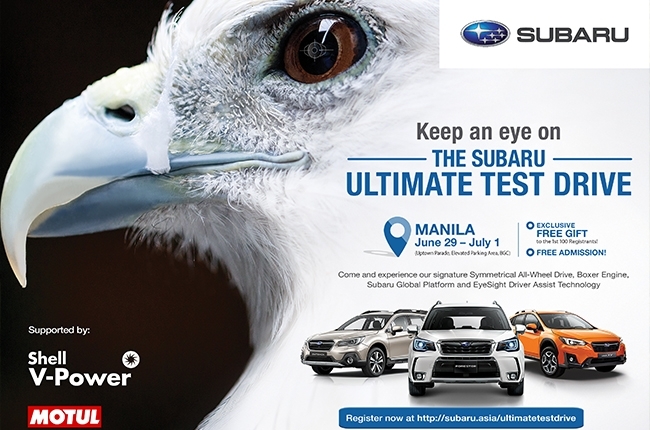 If so, consider yourself lucky as Subaru Philippines will be having its Ultimate Test Drive starting June 29 to July 1. This exciting event will be held at the elevated open parking area in UPTOWN Parade, BGC, Taguig. 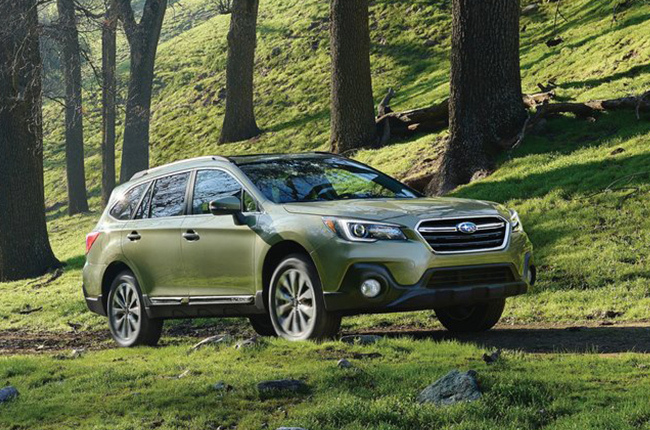 Known for its dedication in improving engineering and functionality, the Subaru Ultimate Test Drive will highlight the brand’s four core technologies: Symmetrical All-Wheel Drive, Boxer Engine, Subaru Global Platform, and the new EyeSight Driver Assist Technology. Visitors are allowed to try and test drive the Japanese marque’s latest lineup including the XV, the Forester, and the Outback. Speaking of innovation, the EyeSight Driver Assist Technology is the newest addition in Subaru’s main pillar of technology that was launched at the 2018 Manila International Auto Show. This new update serves like another pair of eyes to provide safer and more convenient driving experience. To experience it yourself and to know what these advancements are all about, register now on their site and confirm your attendance afterwards. Don’t waste time, as there will be a special gift from Subaru PH for the first 100 confirmed attendees. Exclusive offers and freebies await the guests who’ll book for a test drive during the event. If you’re not living in Manila, don’t fret just yet. Subaru PH will also bring the Ultimate Test Drive in Davao City at the Parking C of SM Lanang Premier from July 20 to 22, 2018. The third leg of the event will take place in Cebu on August 24 to 26, 2018. Don’t miss these event and make sure you have these dates and locations noted.